I haven’t written much about Thai food, just that feeling my writing won’t do justice to the food and experience. Each Saturday my lunch has become Khao Soi with Chicken (ข้าวซอยไก่), I’m addicted. It’s noodles, coconut milk curry and leg of chicken- it’s great. 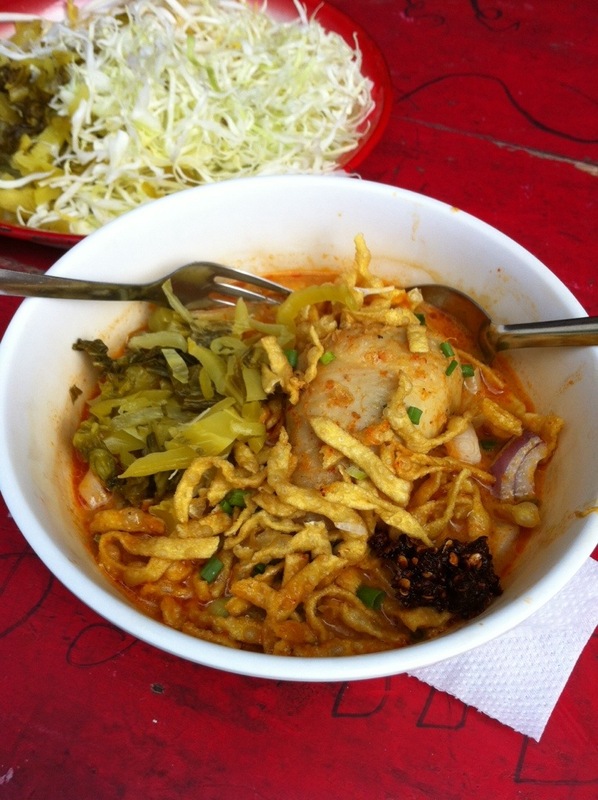 This entry was posted in Food & Restaurants and tagged khao soi bangkok. Bookmark the permalink.